Photo Resume Example 27 a preview of how your resume would look using style 27 using a photograph. 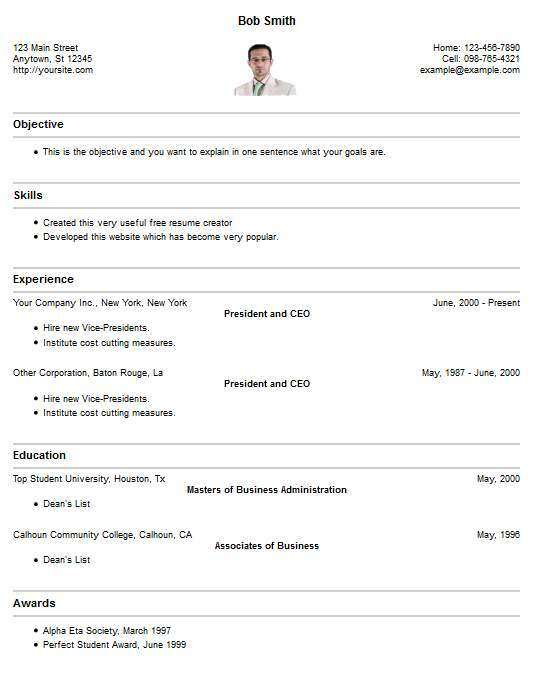 This is just a quick photo resume example, your resume would appear slightly different due to the number of jobs and schools you had, how many skills you listed, etc. There are many other photo resume examples for you to view.